Ocean antey manaki first strike iyyedi enti, goa beach lu, foreign liquor, beach rides, mana budget lo oka small island trip. 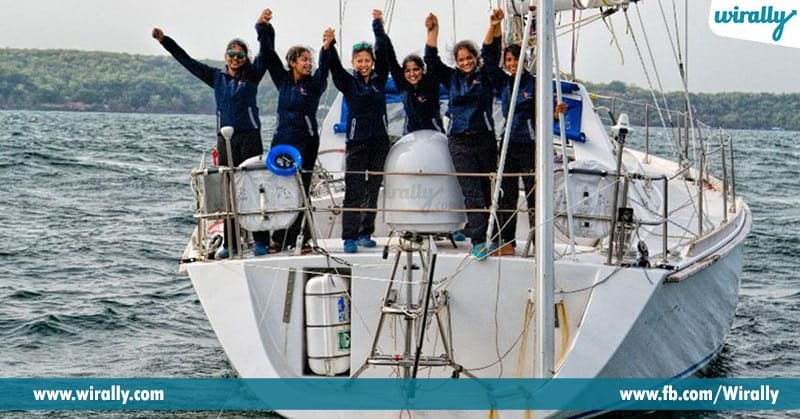 Ila mana goa trip nee plan cheskuntam but adey Navy lo unna brave womens em chesaro telusa…..
Ippudu introduce chesthunna team and their adventure is about the 55-foot sailing vessel boat, INSV Tarini operation vintey miru shock avtaru. 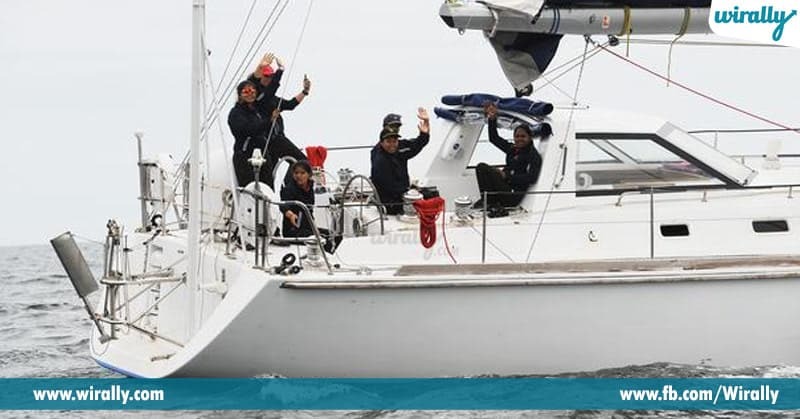 Assala adventure enti ankuntunnara adey chepthunnam all team travelled in INS Tarini for a navy operation called ‘Navika Sagar Parikrama’ on 10 Sep 2017 from Goa. 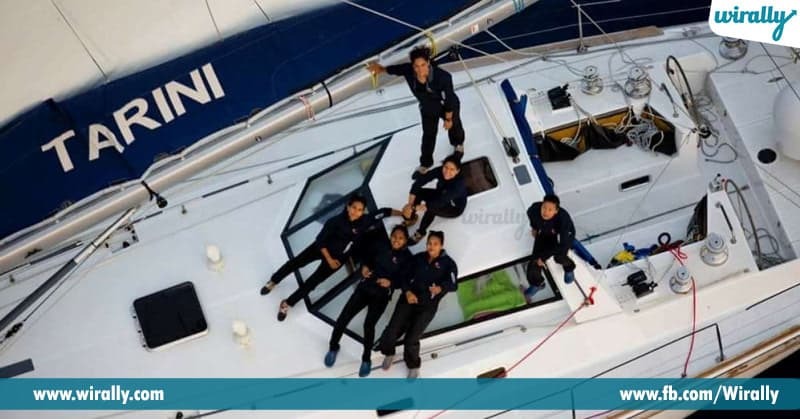 After travelled a 21,600 nautical miles (40003.2 kilometres) in INS Tarini they sail back to home on May 21 2018. ‘Navika Sagar Parikrama’ operation lo they spent 254 days on a boat adi kuda ocean lo. Sarey inthaki vala operation enduku? 254 days lo em chesaro okasari chuseddam. 1. 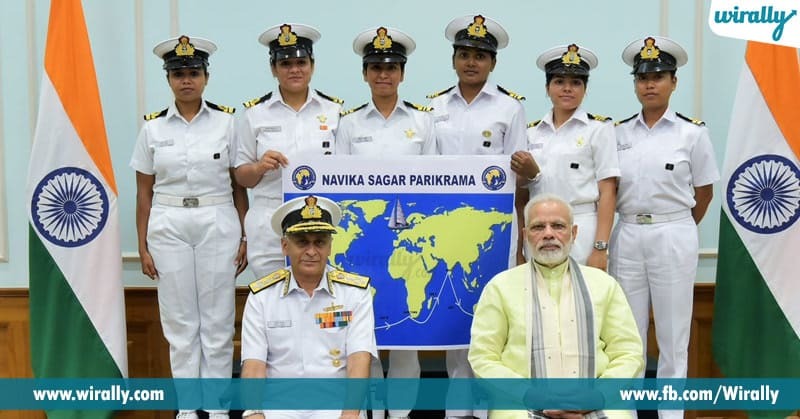 ‘Navika Sagar Parikrama’ – INS Tarini Opeartion. ‘Navika Sagar Parikrama’ operation started with the main focus to understand the earth and oceans behavior and to estimate circumnavigate situations. 3. How journey started and how it went. 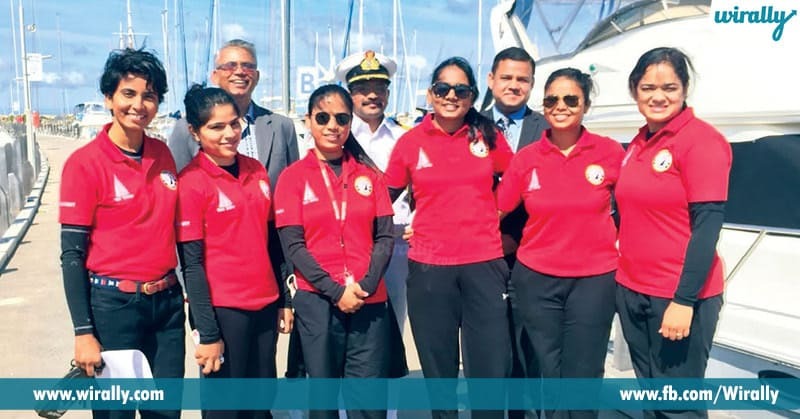 They started in INS Tarini on 10 Sep 2017 from Goa. And then visited five countries and crossed the Equator twice. They sailed across four continents and three oceans, and passed south of the three Great Capes – Leeuwin, Horn and Good Hope. Journey mottham they need to halt at Fremantle (Australia), Lyttleton (New Zealand), Port Stanley (Falkland Islands), Cape Town (South Africa) and Mauritius ports. 4. Awestruck statistics of their journey. They sailed over 21600nm (40003.2), visited 5Countries, sailed across 4 Continents and across 3 Oceans. And also passed South of three Capes and crossed the Equator twice. 5. Difficulty and Odds in the journey. They hit by many storms and mainly the Pacific storm, but they never lost the hope and made it possible. 6. Finally reached after accomplished operation successfully. 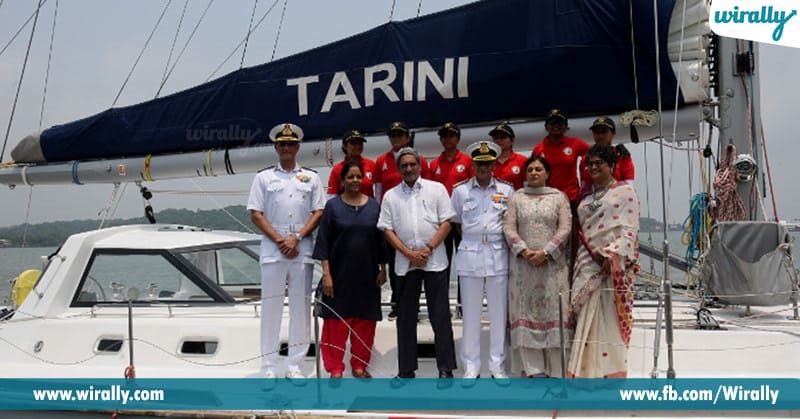 After 254 days of long operation they reached home and flagged off INS Tarini by Defence Minister Nirmala Sitaraman for successfully accomplished ‘Navika Sagar Parikrama’, on 21 May 2018. To empower women and attain full potentials of women and to showcase India Women power on the world platform. To help and attain revolutionize attitude, mindset towards women by raising the visibility of their participation in the challenging environment. 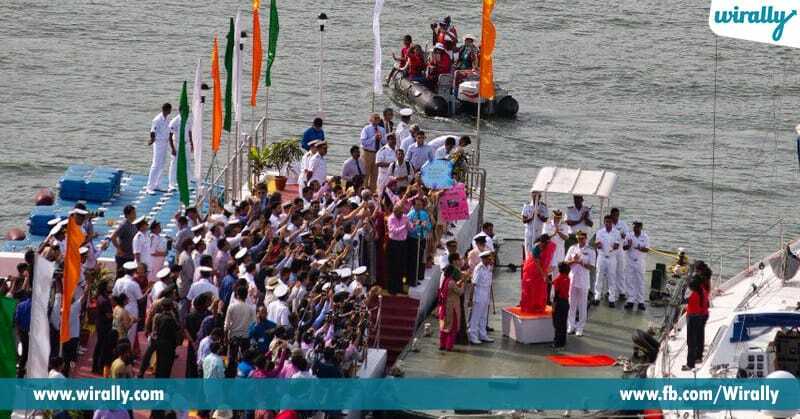 From bottom of my heart a huge gratitude and salute to those brave women’s of Indian Navy. Please do share, like and comment.